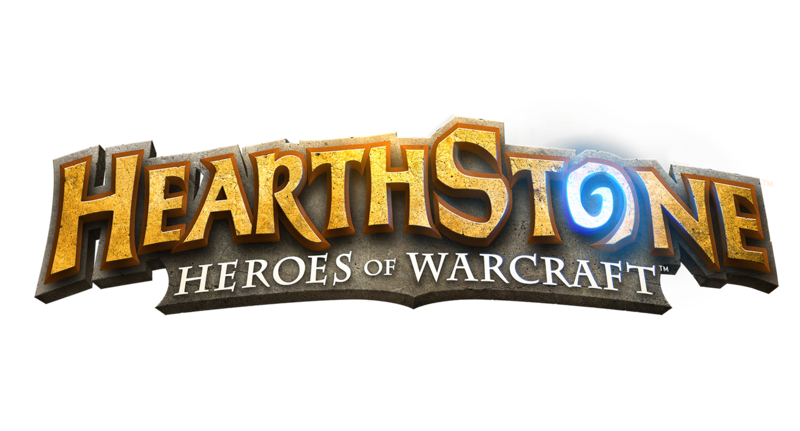 Recently I’ve taken part in two Hearthstone tournaments. The first one was not great. Lost opening match 2-0 to someone who (a)successfully Golden Monkeyed me (not a euphemism) (b)completely bamboozled me with a Hunter secret I was not expecting (Dart Trap! – first time I’ve ever seen it played!). Last Wednesday though the story was slightly different – I made it to round 6. Amazing! It has to be said though that my journey would have ended at match 2 without the generosity of my second opponent. Basically I was losing & about to concede when they told me that they had to leave for football practice and so wanted to give me the wins so I had a chance to proceed to the next round. It was so nice of them. They also told me to remember Swipe as I’d played into it twice! So off I went into round 3 and amazingly I won that match and the following 2. Basically opponent 2’s generosity allowed me to experience more tournament play in one night than I could ever have imagined. And I was really glad I won the following 3 matches all fair and square since after beating my first opponent I got a rather mean DM from him saying I was a “luckster” and 100% guaranteed to lose the next match (which I would have done actually had my opponent not basically given it to me !) because I was so low on the ladder. And yes I am low- currently rank 14. But I still went on to win another three matches. There are of course many Legend players in these tournaments but not everyone is Legend (I played someone at rank 13) & the Legend players are not unbeatable (I beat two I think – I didn’t notice everyone’s rank). So just goes to show it’s not all about your position on the ladder. In the tournament I used Mid-Range Paladin, Mid-Range Druid and Dragon Priest. The Druid match always seems to depend on how quick I could get the combo out (Force of Nature & Savage Roar) & I didn’t particularly enjoy playing it. The Paladin was fine – pretty solid and consistent, but a tad boring perhaps. I was too scared to go for my more interesting Freeze Mage and Reno Lock decks as I’m still making mistakes when I play them (just lost two on the trot with my Freeze Mage & had to endure a ridiculous amount of BM from my opponents – what is it with people these days, and why do they assume they are not squelched? And more to the point – why don’t I squelch?!!) My Dragon Priest remains my favourite to play. The mechanics of the tournament scared me at first – you have to click a button to say you are ready within 10 mins of your opponent saying they are ready (otherwise they get a “defwin”), you have to pick your three classes & not change them mid match, you have to remember to change class if you win (it was Conquest mode) & to take screenshots in case of dispute. You also have to add your opponent to your friend list & send them a challenge. This is all straight forward stuff on paper but not when your hands are trembling with nerves. But I did it! The entire thing took three hours! I honestly thought it would be another defeat in the first round. But I kept winning. At the end it was a Secret Paladin that proved my undoing. I still am not clear on what I need to do once Mysterious Challenger comes into play. I know the order the secrets pop but I still get my own order of attack all wrong. I was worried about adding people to my friends list and the first message I received from the bitter defeated opponent did shake me up a little, but mostly people sent nice messages (before the match it was “GL HF” – Good Luck Have Fun I assume), and one wished me good luck after I beat him/her too. And of course opponent 2 was really nice to let me have the wins & therefore give me the chance to proceed further. But will I do more of these tournaments? Well at potentially 3+ hours each tournament the answer has to be a no. I just can’t give up all that time to Hearthstone! But would I recommend anyone considering a tournament to try it out (even if like me they are most definitely not a Legend player) – yes absolutely, give it a go. You might be surprised at how far you go. I was!